Jake slips the all-important ring on to Addison's finger in this Private Practice finale scene. Let's hear it for the bride and groom! Give Sam a few moments here. He must watch as Addison married Jake. Let's hear it for the bride and groom. Okay, this scene may be a bit awkward for Sam. 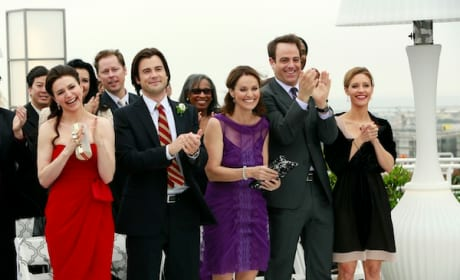 Cooper and Charlotte attend Addison's wedding in this photo. We are so happy for them! 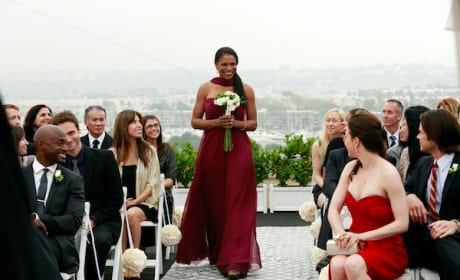 Addison makes her way down the aisle in this Private Practice finale scene. Altogether now: AWWWW! Jake slips a ring on Addison's finger in this Private Practice finale scene. We are gonna need a Kleenex. 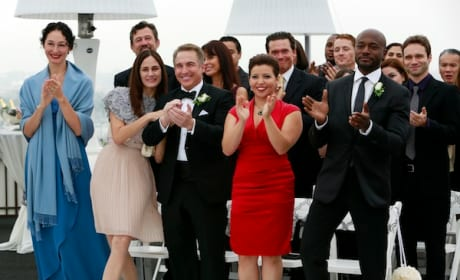 It's the moment Private Practice fans have been waiting for. Addison is married! Addison has found her man! 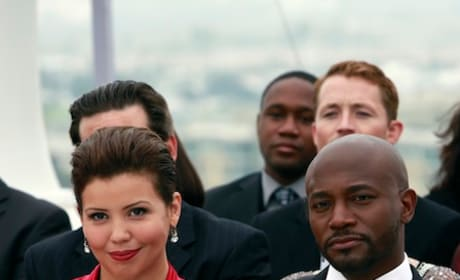 She flashes a smile at Jake on the Private Practice series finale. Audra McDonald is back! No way could Naomi miss her good friend's wedding, right? It's time to say goodbye to Private Practice. But not before these folks attend Addison's wedding! Yes, they do! 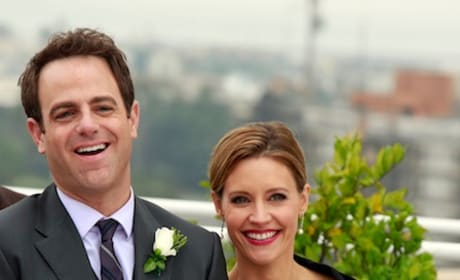 Addison and Jake get married in this Private Practice final photo.